We are pleased to share some examples of what you can find in our Backyard Mystery curriculum. A variety of hands-on and paper activities are provided to give an idea of content. 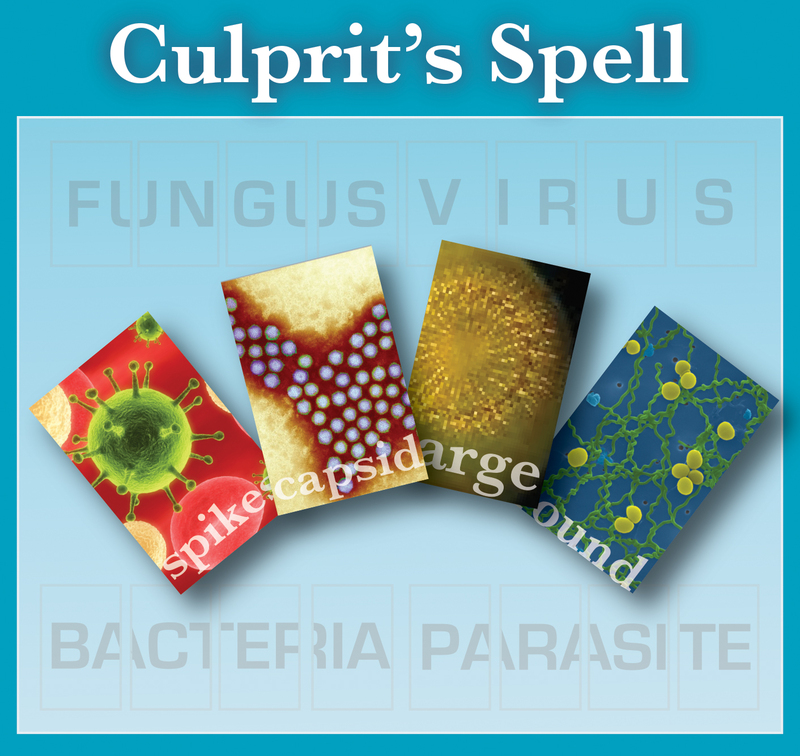 This hands-on activity in Expanded Lesson 1 (Section 1 of the Combined Lesson) explores four microbes that can be pathogens, fungi, parasites, viruses and bacteria. Each type of microbe has characteristics – some you can see, some you can’t. This activity gives participants the chance to see these “critters” up close and decide if they can tell them apart based on how they look. 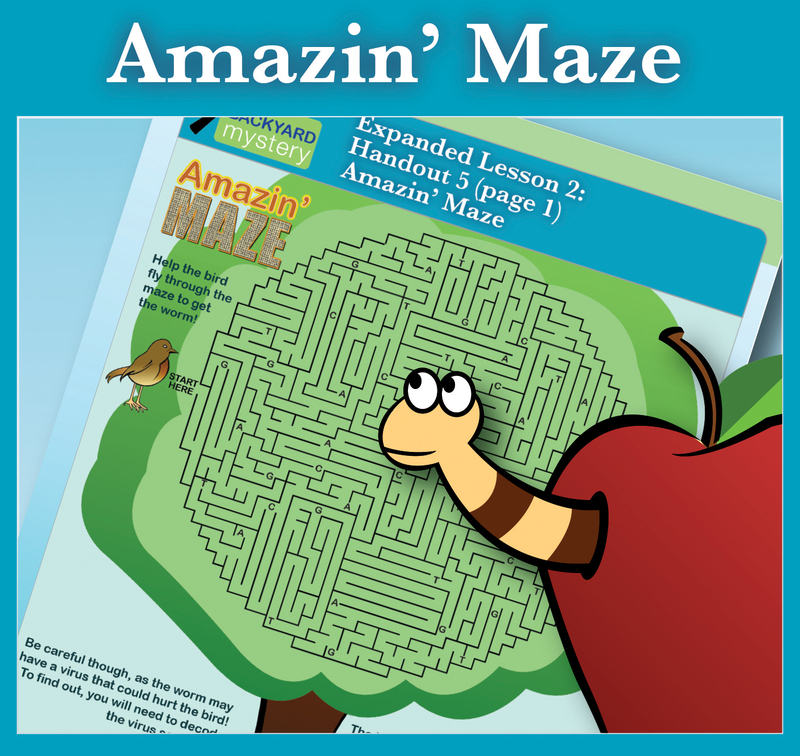 In this paper activity (included in Expanded Lesson 2 and Section 2 of the Combined Lesson)participants travel through a maze to help a bird get to a worm in the apple at the end of the maze. Along the way, they gather letters, which they compare to letters in a decoder to decide whether to warn the bird of disease. Copyright (c) 2015 ucbiotech.org. All rights reserved.